For Americans, Independence Day is a day of freedom. A day where we celebrate our liberty and history. It symbolizes hope. And for Libre, a four-month-old Boston terrier puppy, that’s just what it was – the day he was given hope. Libre was surrendered by his breeder on July 4th to a Lancaster, Pennsylvania animal control. The vets were totally uncertain about whether or not Libre would survive -- he was in bleak physical condition. Libre was immediately transferred to Dillsburg Veterinary Center where he received antibiotics and laser treatments to remove the maggots from his skin. Slowly but surely, he began his recovery. He even began to et wet food -- a sign that his health may slowly be changing for the better. Day by day, Libre’s condition improved – on July 9th he was able to eat a whole can of food but did not drink any water and vets had a difficult time stabilizing his temperature. But Libre stayed strong and was able to eat not one, but two more cans of wet food later that day. 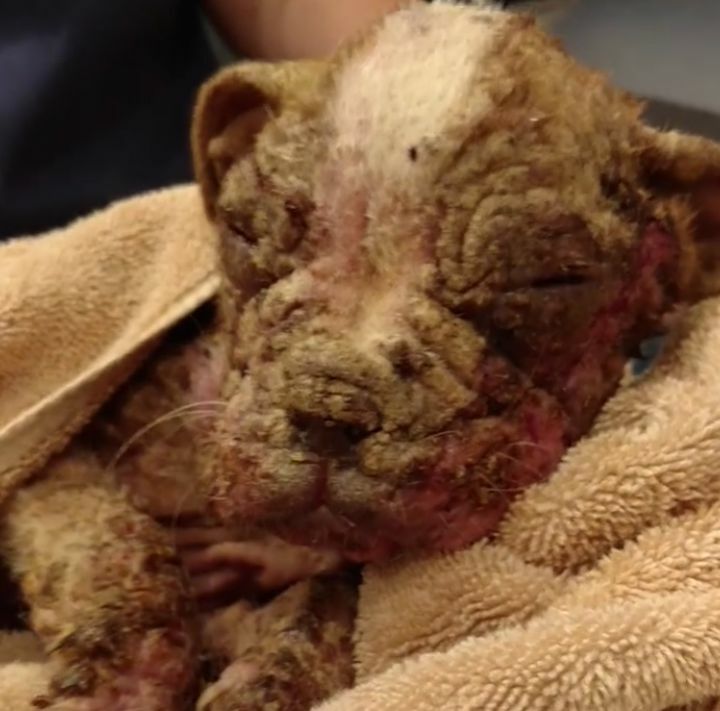 The staff found out that Libre’s mother was surrendered at the Lancaster SPCA a few days after Libre because she was showing signs of demodectic mange. Her mange made her no longer suitable for breeding so the breeder didn't want to keep her. At first, they did not know the status of Libre's mom but were later notified that she was okay. 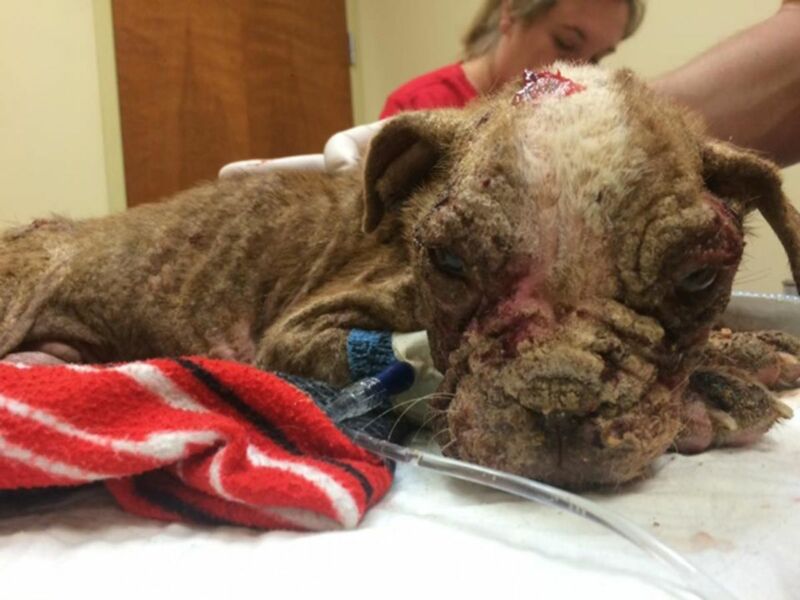 She is currently in foster care where she is receiving treatment for her mange. Update on Libre's mom I know alot of you have been asking. The director of the SPCA, Susan Martin, originally decided not to press charges because it was impossible to prove, “beyond a reasonable doubt that the individual willingly and knowingly grossly neglected care for the animal intending to cause forseeable grave injury or harm.” (Lancaster Online). Martin's decision caused outrage - no one understood why charges weren't going to be pressed. Luckily, hope for Libre and his mom came in the form of one woman: Janine Guido. Guido is the owner of the Speranza Animal Rescue and was called when Libre was first brought to Dillsburg. She refused to give up on him. She fought to keep his story alive and get answers as to how someone could let this happen to two innocent dogs. Finally, her pleas for help were answered. After gaining national recognition, “the Lancaster County district attorney’s office is working with state police to investigate claims that the puppy was left to die in a pen on a farm near Quarryville.” (Lancaster Online). Though Libre still has a long way to go, he is slowly starting to recover. He’s now standing up on his own, eating, and even gained some weight. In fact, just a few weeks after his rescue, Libre was finally able to go outside with Janine where he received his first kisses. Today's visit! Libre's first kisses! 󾠣❤󾠣 Thank God I had my camera. Will treasure this moment forever! And the cherry on top? Libre will now get to spend the rest of days with Janine. She fell in love with Libre’s tenacious spirit and ferocious will to live and promised him that if he pulled through, he would have a forever home waiting for him. She didn’t break that promise. Libre suffered unimaginable pain and cruelty in the first four months of his life. Now, his days will be filled with endless love, kisses, and a bright future. Thanks to the national attention Libre’s story received, the senator of Pennsylvania, Richard Alloway will be introducing new legislation to strengthen Pennsylvania’s animal cruelty laws! And guess what it's called? Libre's Law. For more information on Libre's Law, click here. To follow Libre’s story, make sure to check out his Facebook page!